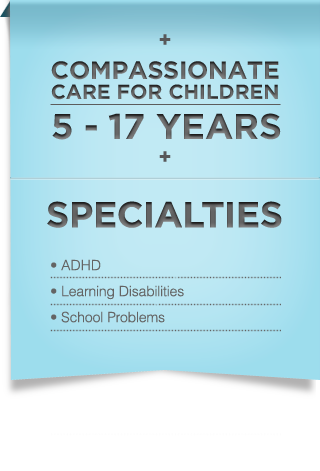 Attention Deficit Disorders require an in-depth examination of a child’s medical, social, and family history. Difficult behaviors and academic concerns may develop secondary to medical problems, language delays, learning disabilities, delayed cognition, and mood disorders. These issues must be explored to create a comprehensive diagnostic and treatment plan. During the evaluation, your child will receive a diagnostic plan, academic planning, and behavior and medical management. Follow-up appointments will be scheduled to monitor progress. We would be happy to speak with you about your child. Consultations will provide a comprehensive medical evaluation for your child by exploring psychological, family, and educational factors. At the end of the evaluation, you will receive a comprehensive plan including medical interventions, behavior management, school placement, and special services. 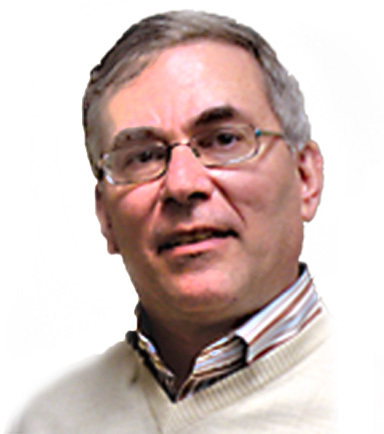 Welcome to Jon Roth M.D., my practice of developmental and behavioral pediatrics. In 1984, I graduated from Mount Sinai Medical School with an interest in premature infants and children. I continued my training as a physician with a pediatric residency at the University of Connecticut and then a three year fellowship in neonatology at the University of Texas at Houston. In 1990, I joined a neonatal practice in Charlotte, North Carolina, for three years, and then a second practice in Denver, Colorado, for 11 years. In 2008, I narrowed my focus to children with Attention Deficit Disorder. 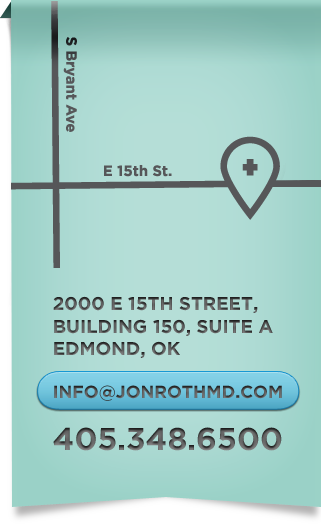 In 2009, I decided I could better serve the citizens of Oklahoma by opening my own practice. At my practice, I am an advocate for your child. I will work with the child's school and other health care professionals to provide your child with the best care possible. These professionals include special education teachers, pediatricians, psychologists, speech and language therapists, and occupational and physical therapists. Beyond the initial evaluation, I will provide ongoing support for your child. Restful sleep that can be had with good bedtime rituals and supplemented with melatonin, up to 5mgs. We are focused on the evaluation, diagnoses and treatment of academic issues in school aged children five to seventeen. Working with the school closely and in some cases developing an individualized education plan. A full school evaluation is time consuming and can be very difficult to perform properly in a busy primary care setting. My consultation takes place in a quiet and relaxed atmosphere. The consultation can last up to one hour. During that time, I will get to know your family with an emphasis on your child's developmental problems. In addition, you will have direct access to the doctor in the event of ongoing issues. Most practices have you speak with a nurse; I take your calls directly. ADHD and school problems have complex effects requiring time and patience that goes beyond simple medication management. In addition to an initial consultation, I will provide continuing care for these disorders. Often, close analysis is required with other health care and school professionals to coordinate your child's treatment plan. Monday & Tuesday: 9 a.m. - 4 p.m.
Wednesday, Thursday & Friday: 9 a.m. - 1 p.m.